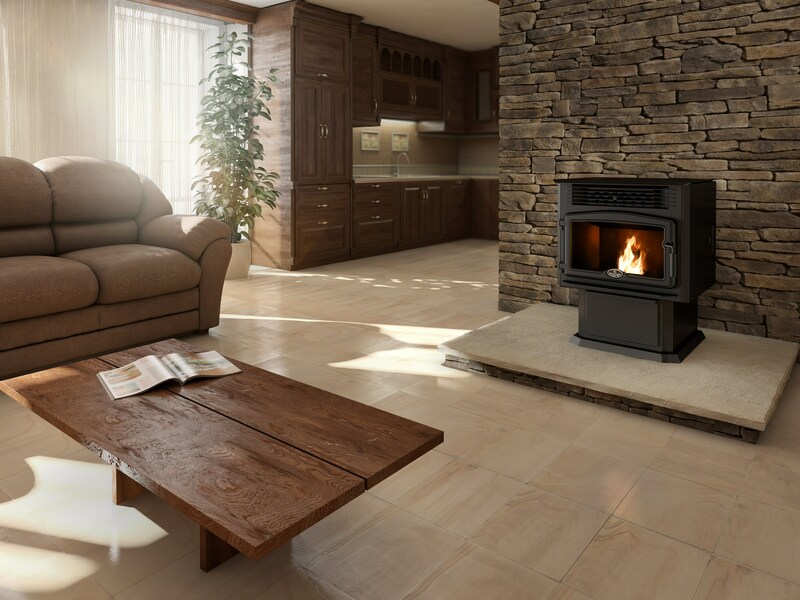 This pellet stove is made from high-quality materials: Canadian steel of a higher grade, glass ceramic imported from Germany, heat exchangers made of stainless steel and thermosetting powder paint. Despite these real assets, worthy of a remarkable design, this product is offered at a very competitive price. Responding largely to the next highest standards of solid fuels and environmental protection, the Osburn 2500 has an incredibly low average of particles emission rate below 0.96 g/h. Thanks to easy installation, intuitive electronic control and easy to use thermostatic control, the Osburn 2500 is for anyone who wants nothing complicated. It is also easy to clean with access to removable components without tools.